Therapeutic hypothermia (TH): Part 2. Research and historical development. The use of therapeutic hypothermia in modern medicine began more than 200 years. This article aims to present all the advances in research and development of hypothermia with those pioneers who have made it possible to save many lives. Russian method resuscitation , described in 1803, involved a patient with snow cover awaiting the return of spontaneous circulation. Cooling the body to raise the dead, was used by Russian doctors (not just in winter) in early 1800. This concept involved reducing the body’s metabolism by freezing the body under a layer of snow and ice. Unfortunately, what the medical authorities did not realize then, was that the most important organ that needs to be cooled, in order to achieve a reduction in the body’s metabolism, was the brain. 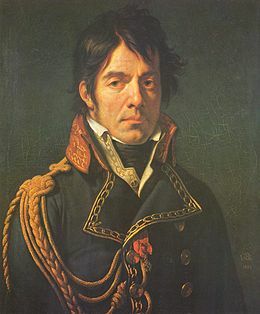 Dominique-Jean Larrey, cirujano jefe de las tropas de Napoleón. The surgeon Dominique-Jean Larrey or Baron of Larrey , was the chief surgeon of Napoleon’s army and already used to perform amputations. Born in Campan on July 8, 1766 and died in Lyon, July 25, 1842. He was a surgeon in the Napoleonic Wars, established the ambulance transport riding camels in the campaign of Egypt and Syria, and introduced the principles of modern military health, making the first emergency triages in the battlefields. During the Battle of Waterloo, Larrey created what he called “flying ambulances” which were horse-driven carriages could carry the wounded with some comfort at high speed, over to where surgeons. The Duke of Wellington was so surprised by this that he ordered his men not shoot. His contribution to the medical literature was conducted with books Memoires de chirurgie militaire, in four volumes, Treaty of memoires and Clinique de chirurgie chirurgicale, which was a summary of nearly forty years as military surgery. Very accurately describes the clinical tetanus therefore also known as Larrey disease. He gave his name to a known clinical sign as a sign of Larrey, for severe pain in the anterior sacroiliac sharply perceived when sitting on a plane sacrocoxalgia resistant patients. It is known as “Larrey amputation” means the process of carrying out a cone of external and internal vertex basis, with the cutting area at three levels, skin, muscle and bone. Was able to perform an amputation in less than five minutes, considering that at that time there was no anesthesia and pain was only relieved by the intake of alcoholic beverages. The Battle of Borodino on September 7, 1812. The Battle of Borodino  in the campaign of Moscow (September 5 to 6. 1812) were very high the low, the highest in a single day in history up to that time (second only to the early days of the Battle of the Somme in the First World War in 1916, with more than a million casualties between the two sides). The French, recognized 28,000 men killed and wounded, including 48 generals, while among Russians the figures were not established in a clear, accepting about 40,000 casualties. Larrey then came to perform 200 amputations over a period of 24 hours, getting lower surgical mortality rates. But the most dramatic legacy was the terrible withdrawal of Napoleon’s troops, being Larrey who wrote: “When a body part is injured by cold rather than heat, which would cause gangrene, you need to rub it with cold substances as is shown that heat accelerates the fermentation and putrefaction of the body”, so since then used the massage and friction with snow or ice and avoided the heat, assimilating the problem of cold burns. Larrey had found that early amputation was necessary, against the criteria of time, showing that patients died before gangrene. El Dr. Temple Fay (1895-1963), was head of the Department of Neurosurgery at the “Temple University Medical School” and President of the Philadelphia Neurological Society  about 1929. Between 1940 and 1950, Temple Fay, with the help of a multidisciplinary team and especially his disciples, Dr. Clenn Doman and Dr. Carl Delacato, formed a working group for research and care of children with brain damage . In November 1938, he began his experiments of hypothermia in human beings, especially for cancer control. His pioneering work in this field stimulated considerable research and led to many practical applications of this therapy in the future. He was considered “the conqueror of the thermal barrier in humans” [5,6,7]. Dr Fay, studied the effects of temperature on cell growth and cancer. Fetuses used chicken, studying cell differentiation in the same after cardiac arrest at 32.2 ° C. Observed that normal cells tolerated better hypothermia, immature malignant cells. He was the first scientist to conduct controlled experiments in humans, developing the concept of levels of hypothermia. He used local freezing technology equipment through “pumps” and applied it to 126 patients with inoperable cancer observed a favorable response. Also treated patients with severe head trauma, infections (filariasis) also favorable response  . In the 50s, Wilfred Gordon “Bill” Bigelow, OC FRSC (June 18, 1913 a March 27, 2005) was a Canadian cardiac surgeon known for his role in developing the artificial pacemaker and the use of hypothermia in open heart surgery . Bigelow developed the idea of using hypothermia as a medical procedure. In 1941, trying to freeze a young Canadian, and had to amputate the fingers from gangrene. Surprised, so little was known about freezing, and encouraged by a teacher, began to investigate, so that was a turning point in his career and his life. Soon after, Dr. Bigelow, began military service as Captain of the Royal Canadian Army Medical Corps. He served first with the field transfusion unit, and then worked as a surgeon in battle with the 6th Canadian Casualty Clearing Station. It was in England and northwest Europe, while treating many soldiers with limbs frozen, when his interest grew stronger hypothermia and patent. Dr. Bigelow began investigating in a storage room in the basement of the Banting Institute in Toronto, Canada, shortly after the Second World War. Initially, his colleagues were skeptical, and research studies how the winter hibernating marmots were disappointing. Their studies involved the reduction of body temperature of a patient before surgery, to reduce the amount of oxygen needed, so that the heart surgery, were much safer. After testing the cooling theory, successfully in a dog in 1949, and one year later Dr. Bigelow and his colleague, Dr. John Callaghan, presented their findings at a meeting of the American Surgical Association. Three years later, the technique was used successfully hypothermia during cardiac surgery in a human patient . Dr. Bigelow became an assistant professor in 1953 and professor in 1970. In 1984 he published a book about his research, Cold Hearts: The Story of hypothermia and cardiac pacemaker surgery. In 1990 he published Mysterious Heparin: The Key to open heart surgery. In 2001, the International Academy of Cardiovascular Sciences, Dr. Bigelow named a “living legend”. Dr. Hubert L. Rosomoff (1927 -2008). He was President Emeritus of the Department of Neurological Surgery University of Miami School of Medicine, since 1971. His achievements include pioneering research into hypothermia, cryosurgery, spinal neurosurgery, pain surgery and rehabilitation. He was the first to investigate and use the laser on brain surgery. He completed his training at the Institute of Neurology in 1959, adding a D.Med.Sci. of Physiology, Columbia University College of Physicians and Surgeons. During this time, hypothermia was introduced clinically as an adjunct to vascular lesions neurosurgery, and in the treatment of brain injury. Initially involved in the dura mater and lyophilized bone, now standard techniques. His studies in hypothermia , were associated with decreased intracranial pressure. Also performed other on fluids, brain volume and cerebral resuscitation after cardiac arrest, the latter with Dr. Safar . He has authored more than 300 published articles or books, editor of several journals and founded three US societies on pain. During the 50 to 60, hypothermia was used to treat spinal and cranial injuries and in surgery to repair aneurysms. An early clinical observations associated complications hypothermia that could lead to cardiac irritability and ventricular fibrillation when it is practiced at temperatures around 30C, which is known as deep hypothermia. Dr J Lawrence Pool and Dr. Kessler, were the first to report this observation in 1958, in an article in the Journal of Neurosurgery . This observation, among others, have led to an uncertain future for many years on hypothermia and potential complications. El Dr J. Lawrence Pool , had important contributions the field of cerebrovascular neurosurgery. The discipline of cerebrovascular neurosurgery was a young and dynamic field, which experienced rapid and substantial growth during the mid-twentieth century. He was the chairman of the Department of Neurological Surgery at the Neurological Institute of New York, being instrumental in the development of new techniques and devices which would ultimately result in reducing mortality rates and improving the results of vascular procedures complex brain. Passionate, full of wit and a pioneering spirit Dr. Pool, introduced the use of the surgical microscope and caliper of temporary occlusion during aneurysm repair, revolutionizing the field of cerebrovascular neurosurgery. Dr Pool, is considered a legend of neurosurgery. Under his leadership from 1949-1972, the Department of Neurological Surgery and Columbia Presbyterian Hospital became the largest neurosurgical service and most prestigious in the U.S. Pneumonia: Dr. Webb and De Guzman  found a number of pulmonary complications (pneumonia, etc.) associated with induced hypothermia, studying the effects that it had on hematologic clearance in experimentally induced staphylococcal bacteremia. While it is established that therapeutic hypothermia protects the brain in ischemic brain injury, it became clear that the complications of this therapy make dangerous use [15,18]. Between 1960 and 1996, only a few publications describe experimental and clinical applications of therapeutic hypothermia, as this technique was rarely used. Dr. Peter Safar J. (April 12, 1924 – 2 of August 2003). – The Father of CPR, taught “ordinary people” how they should prepare to be “rescuers”. Thanks to Dr. Peter Safar and his method called RCP (“Cardio Pulmonary Resuscitation“), Anne and millions of others around the world have been saved! Peter Safar was born in 1924 in Austria. The son of an ophthalmologist and a pediatrician, both of Czech origin, who were dismissed from their jobs for refusing him join the Nazi party and she to have a Jewish grandmother. He was sent to a labor camp, digging trenches after finishing his high school education and in 1942 was declared unfit for the German army. His parents were great role models, so it also inspired him to study medicine. He began his studies at the Faculty of Medicine in 1943 and graduated from the University of Vienna in 1948. He married Eva Kyzivat Vienna and moved to Hartford, Connecticut in 1949 to specialize in surgery at Yale University. He then completed his training in anesthesiology at the University of Pennsylvania in 1952. That same year, he worked in Lima, Peru and founded the first academic department of anesthesiology in this country. In 1954, he became Chief of Anesthesiology at the Hospital of the city of Baltimore. Now, as a student at Yale, he realized that the surgical techniques would not be able to advance, without life support. This was what led to his career in anesthesia and resuscitation interest both inside and outside the operating room. Along with James Elam, rediscovered the airway, head tilt, chin lift (Step A) and breathing “word of mouth” (Stage B) components of CPR and the influence of the manufacturing company Dolls, Norwegian “Asmund Laerdal” for the design and manufacture of “CPR training mannequins” called “Resusci Anne“. In 1966, while Safar was at a medical conference in Chicago, his daughter Elizabeth died at the age of 11, after an acute asthma attack and as a result it suffered a cardiac arrest. She could restore circulation but brain death had been established. This event marked him deeply and led Dr. Safar to develop all his research on brain resuscitation. Later find out that mild hypothermia slows the release of toxic substances that lead the brain damage. The fundamental problem was that no reliable methods known to lower body temperature in a fast, safe and effective. 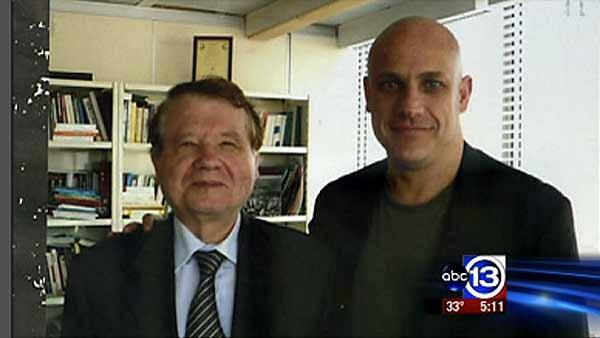 Dr. Safar also collaborated with Vladimir Negovsky (see photo at left), creator of resuscitation in the Soviet Union . The work of the Russian school hardly known in the West because they were published in Western journals. At that time Safar was among the few scientists who worked with someone who was behind the “iron curtain” . Dr. Stephen Alan Bernard and colleagues conducted a study  published in 1997 in Annals of Emergency Medicine, which compared patients with anoxic brain injury after cardiac arrest outside the hospital with the use of hypothermia therapeutic for 12 hours, compared with normothermic control group and results in a better outcome in the hypothermia group without complications. Professor Stephen Bernard is a senior intensivist the Alfred Hospital and Director of Intensive Care at the Knox Private Hospital in Victoria, Australia. It is also medical advisor Ambulance Service in Victoria. His research interests include the use of therapeutic hypothermia for the treatment of neurological damage after cardiac arrest resuscitation. He is the principal investigator of a clinical trial for the rapid induction of therapeutic hypothermia during resuscitation after cardiac arrest. He is also co-investigator on a clinical trial of therapeutic hypothermia after severe traumatic brain. Similarly, many other scientists found similar results in clinical trials of cardiac arrest victims prove that therapeutic hypothermia is feasible and safe [15.25-26]. The European study  was a randomized, multicenter, blind outcome treatment. A total of 275 patients with cardiac arrest secondary to ventricular fibrillation were included, of whom 137 were treated with hypothermia and normothermia 138 were controls. The hypothermic group was treated with an air circulation device cool and ice packs to maintain a temperature of 32-34 ◦ C (temperature sensor in the bladder) for 24 h. The hypothermia group had a favorable outcome in 55% of patients and in the normothermia group 39% (p = 0.009), which statistically favored the hypothermia group. The Australian therapeutic hypothermia group  was a randomized, with four participating emergency units without blind outcome results. A total of 77 patients were enrolled, all presenting an initial rhythm of ventricular fibrillation. Thirty-four patients were treated with normothermia and hypothermia 43 to 33 ◦ C for 12 h with ice packs. A favorable neurological outcome was obtained in 49% of patients in the hypothermia group compared with 26% in the normothermia group (p = 0.046). On the basis of this evidence, the American Heart Association and European Resuscitation Council, in partnership with the International Liaison Committee on Resuscitation (ILCOR) recommend therapeutic hypothermia as a treatment for victims who come after cardiac arrest with return of spontaneous circulation (ROSC) outside the hospital and were find under coma [15,29-31]. Dr. Joseph Varon, pioneered the use of hypothermia in patients with myocardial infarction and stroke. One of his first articles was in 1992 (at the age of 27 years) with Dr Nicholas Sadovnikoff and Dr. George Sternbach, on hypothermia  in the prestigious journal Postgraduate Medicine, a pioneer journal for postgraduate doctors in the United States. Dr Varon, Professor of Intensive Care at the University of Texas, Center for Health Sciences in Houston, Texas and a clinical professor of medicine at the University of Texas Medical Branch at Galveston. He is also Professor of Medicine, Surgery and Emergency Medicine at several universities in Mexico. After completing medical studies at the Faculty of Medicine of the UNAM in Mexico City, Dr Varon performed internship in Internal Medicine at Providence Hospital / George Washington University, Washington, DC. A subsequent residency in internal medicine was completed at the School of Medicine at Stanford University in Stanford, California. Dr. Varon also fellowship in critical care medicine and pulmonary diseases at Baylor College of Medicine in Houston. Is an avid researcher, has contributed more than 600 peer-reviewed journal articles, of which 252 are registered publications in PubMed , as well as 9 complete textbooks, and chapters 8 dozen books literature. He is also a reviewer for several journals and currently serves as Editor-in-Chief of Critical Care and Shock and Current Respiratory Medicine Reviews. Dr Varon has won many prestigious awards and is considered among one of the best doctors in the U.S. (Top Ten Awards in Sleep Medicine Physicians). Dr Varon is also known for his pioneering contributions to medicine in the field of cardiopulmonary resuscitation and therapeutic hypothermia. He has developed and studied the selective brain cooling technology. He is a recognized expert in the field of hypertensive crisis management. With Dr Carlos Ayus, he co-described the hyponatremia associated to extreme exercise syndrome also known as the “Varon-Ayus syndrome”. Dr Varon has lectured in over 52 different countries around the globe. Along with Professor Luc Montagnier (Nobel Prize Winner for Medicine in 2008), Dr Varon created the Medical Prevention and Research Institute in Houston, Texas, where they conduct work on basic sciences projects. Dr Varon currently also serves as Chief of Critical Care Services and Chief of Staff at University General Hospital, in Houston, Texas. Thereafter, laid the basis and evidence for Intensive Care Units seeking outpatient cardiac arrest patients with ventricular fibrillation, using average therapeutic induced hypothermia (32-34 ° C) to improve prognosis of patients from the neurological point of view. However, this has not been widespread, even at present (2013). Evidence increasingly improvement of these patients should include globally this care. 13.- Zacharia BE, Mocco J, Komotar RJ, Solomon RA, Quest DO. J. Lawrence Pool, M.D. : a pioneer in vascular neurosurgery. Neurosurg Focus. 2006 Jun 15;20(6):E2. 17.- Modell JH, Idris AH, Pineda JA, Silverstein JH. Survival after prolonged submersion in freshwater in Florida. Am Coll Chest Ph 2004;125:1948—51. 18.- Mordecai Y, Globus RB, Dietrich WD, Sternau L, Morikawa E, Ginsberg MD. Temperature modulation of neuronal injury. In: Marangos PJ, Harbans Lal, editors. Emerging strategies in neuroprotection. Boston: Birkhauser; 1992. p. 289—306. 20.- Safar P. Mild hypothermia in resuscitation: a historical perspective. Ann Emerg Med 2003;41:887—8. 21.- Safar P. Vladimir A. Negovsky the father of ‘reanimatology’.Resuscitation. 2001 Jun;49(3):223-9. 23.-Bernard SA, MacC Jones B, Horne MK. Clinical trial of induced hypothermia in comatose survivors of out-of hospital cardiac arrest. Ann Emerg Med 1997;30:146—53. 25.- Yanagawa Y, Ishihara S, Norio H, et al. Preliminary clinical outcome study of mild resuscitative hypothermia after out-of-hospital cardiopulmonary arrest. Resuscitation 1998;39:61—6. 26.- Zeiner A, Holzer M, Sterz F, et al. Mild resuscitative hypothermia to improve neurological outcome after cardiac arrest. Stroke 2000;31:86—94. 27.- Holzer M, Cerchiari E, Martens P, et al. The hypothermia after cardiac arrest study group: mild therapeutic hypothermia to improve the neurologic outcome after cardiac arrest. N Engl J Med 2002;346:549—56. 28.- Bernard SA, Gray TW, Buist MD, et al. Treatment of comatose survivors of the out-of-hospital cardiac arrest with induced hypothermia. N Engl J Med 2002;346:557—63. 29.- Hazinski MF, Nolan JP, Becker LB, Steen PA. Controversial topics from the 2005 International Consensus Conference on cardiopulmonary resuscitation and emergency cardiovascular care science with treatment recommendations. Circulation 2005;112:III-133—6. on cardiopulmonary resuscitation and emergency cardiovascular Science with Treatment care recommendations. Resuscitation 2005; 67:175-9. 31.- Nolan JP, Morley PT, Hoek TL, Hickey RW. Therapeutic hypothermia after cardiac arrest. An advisory statement by the Advanced Life Support Task Force of the International Liaison Committee on Resuscitation. Resuscitation 2003 57:231-5. 32.- Smith TL, Bleck TP. Hypothermia and neurologic outcome in patients following cardiac arrest: should we be not hot to cool off our patients? Crit Care 2002;6:377—80. 33.- Varon J, Sadovnikoff N, Sternbach GL. La hipotermia. Ahorro de los pacientes del gran frío. Doctorado Med. 1992 diciembre, 92 (8) :47-54, 59.